During the nesting season of the Loggerhead Turtle (Caretta Caretta) a number of volunteers come together to walk the beaches looking for signs of the turtles. The main body of volunteers come from all over the world to work with the Greek Turtle Protection Society (ARCHELON) and they cover most of the areas where the Caretta Caretta is likely to nest. In the Western part of Crete, between the coastal villages of Kolymabri and Tavronitis, the stretch of beach is patrolled by a group of volunteers who live on the island full time. Back in 2009 the International Society of the Kissamos Area (ISKA) were approached by ARCHELON asking for assistance in patrolling the 3.7km stretch of coastline. ISKA accepted and have been providing volunteers to do the daily patrols ever since. In the first two years (2009/10) the ISKA volunteers helped protect 27 nests and ensured over 1000 baby turtles made their way to the sea. The group of volunteers who now patrol the beach has expanded to include non-members of ISKA and of course, more volunteers from West Crete are always needed. If you wish to join us for a turtle patrol or wish to get involved in some other way, please use the contact form provided and we will get back to you. All our volunteers receive training and support from ARCHELON and are fully insured whilst carrying out their volunteer duties. 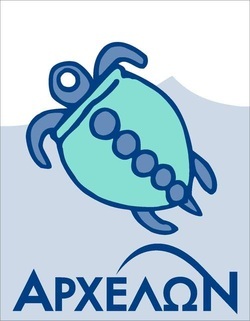 For more information on ARCHELON please visit their link at the top of the page.